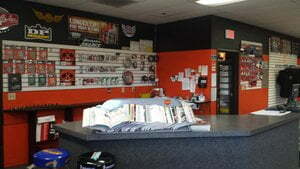 New Customer ?Servicing Harley Davidson’s in the Temecula Valley since 1997. Family owned and operated we have over 60 years of combined dealership and independent motorcycle service experience! 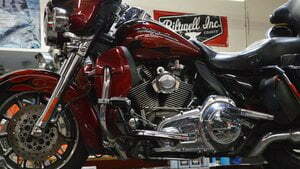 We are willing and well trained to help with any and all your Harley Davidson® needs! 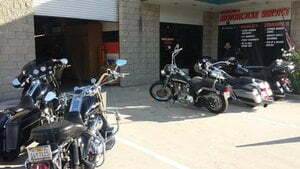 Temecula Motorcycle Service takes pride in our work and treats every customer’s bike like it is our own. We offer factory scheduled services, tire replacement, Harley Davidson extended warranty, engine rebuilding, collision repair and much more. With very competitive prices our highly qualified technicians are here to keep your ride in top running condition. Offering high quality aftermarket parts or Harley OEM replacement parts we will get you what you need to keep your bike looking and running great. You can be sure that we only use the best parts available. Temecula Motorcycle Service is committed to treating everyone like family establishing quality relationships that last a lifetime. Our staff is passionate, focused, hardworking and committed to providing you with top quality care in all of your motorcycle needs.